Your skin’s immune system is modulated by the microbes that live in and on your skin. 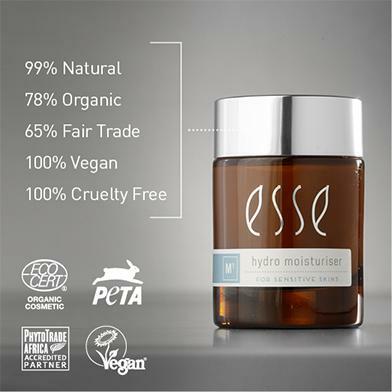 Hydro Moisturiser uses prebiotics and probiotic extracts in an ultra-mild formulation to favour beneficial microbes. A balanced skin microbiome will result in improved moisture retention and a fuller, healthier skin. Hyaluronic Acid is included to boost moisturisation. Prebiotics – Inulin and α-glucanoligosaccharides improve roughness and redness and reduce irritation in sensitive skin. Prebiotics favour the growth of beneficial microbes. Probiotics – The Hydro Moisturiser uses an extract of probiotic Lactobacillus species. The extract improves beneficial microbial populations on skin. The overall effect is to boost skin condition and plump the skin by improving moisturisation and T-junction activity.